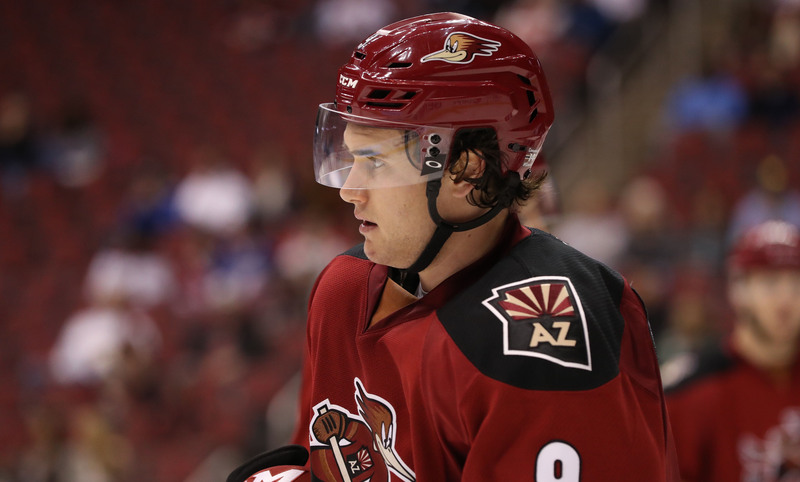 The Roadrunners were unable to fully climb out of a three-goal first period deficit Saturday night in their 4-2 loss to the Charlotte Checkers at Gila River Arena. Goaltender Adin Hill, who was making his 21st start of the season and his second in as many nights, did all he could in what was a rather lethargic opening frame for the club, ultimately surrendering three goals on 11 shots. Hill was pulled early from a game for the first time this season; Marek Langhamer came in for relief to start the second period for his first action with the club since his recall following Thursday’s trade that involved Justin Peters. With a new body in net, and a message sent from the coaching staff, Tucson clawed their way back into the game during the middle frame, responding with a pair of goals to cut their deficit to one. Laurent Dauphin finished a two-on-one sequence after receiving a pass from Michael Bunting when he halted as he approached Charlotte’s crease, patiently waiting-out a Checkers defender before beating Michael Leighton with a shot through the five-hole. With just under five minutes left to play in the second, Ryan MacInnis redirected a Kyle Wood shot past Leighton to register his sixth goal of the campaign. The Roadrunners would outshoot the Checkers 9-3 in the third period, but were unable to capitalize for a game-tying goal. Charlotte scored an empty-net goal with 25 seconds left to play. 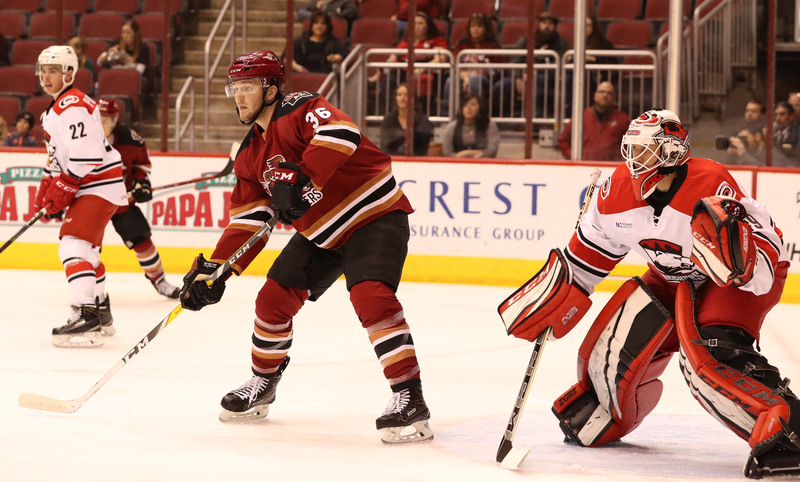 Tucson finished its season series against the Checkers with a 1-2-1-0 mark. The Roadrunners now venture out for a six-game road trip, which begins Friday night when they begin a two-game series against the Texas Stars at the Cedar Park Center, where the puck is scheduled to drop just after 6:30 PM MST.